Ramona Lake, Red Feather Lakes, Colorado looking south. Provided by Red Feather Lakes POA. Glacier Basin Campground (West), Rocky Mountain National Park, Colorado. Provided by National Park Service. Long's Peak (14,259'), Colorado. Provided by National Park Service. Idaho Springs, Colorado looking west. 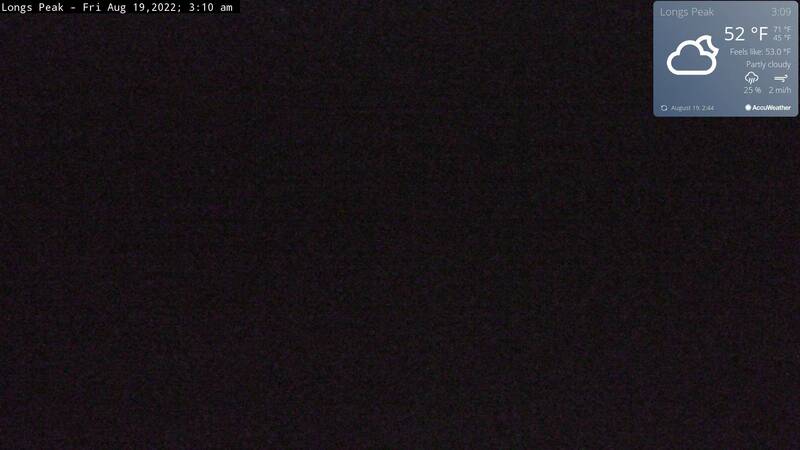 Provided by (coloradowebcam.ne). Boulder Heights, Boulder, Colorado looking southwest. Provided by robbwallen's webcam. Fort Collins at Horsetooth Res. looking north. Provided by jsw00's webcam. Loveland, CO looking west, Provided by Poisonlake's webcam. Boulder, Colorado looking northwest towards the Flatirons and Continental Divide. Provided by livelook. Boulder, Colorado looking southwest. Provided by JENSA's webcam. 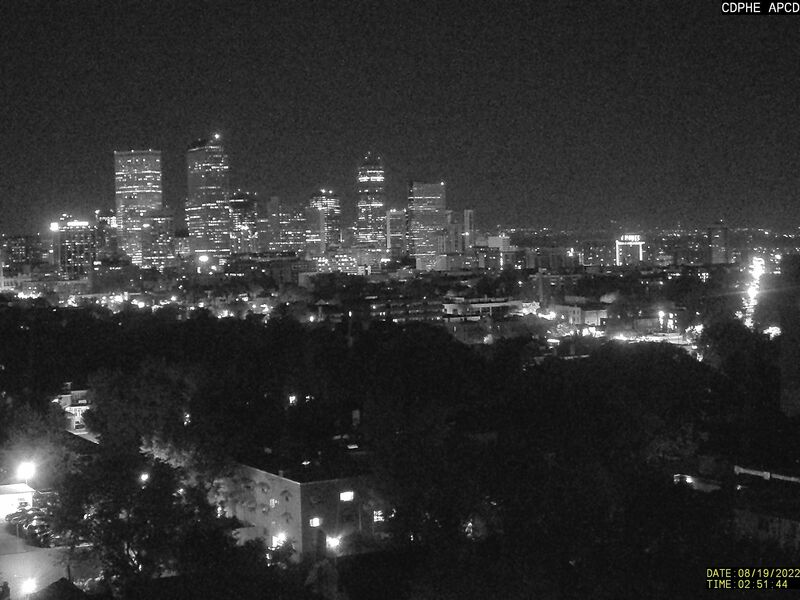 Downtown Denver air quality cam looking northwest. Provided by Colorado Air Pollution Control Division. Golden, Colorado looking south. Provided by ParadisoCam. Evergreen, Colorado looking southwest. 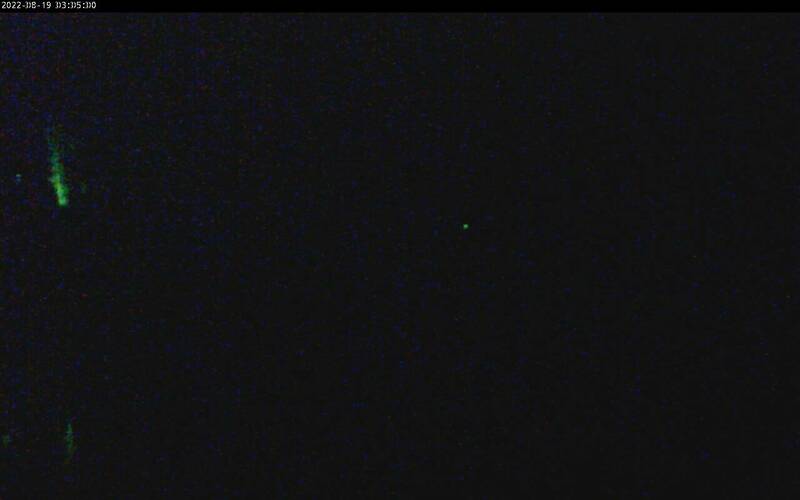 Provided by Armadillo's webcam. Conifer, Colorado looking south. Provided by KC0IAD's webcam.